We are now accepting vendor applications for the 2019 season. Click on the link above to find the application. Completed applications can be emailed to market@lunited.org, or mailed to the address provided. We look forward to working with you! Our market has operated on Saturday afternoons for several seasons. As we examined our mission and growth over the years, we realized that our regular time wasn’t the best for both our patrons and our vendors. Our main mission as a market is to make food more accessible to our community by offering affordable fresh and locally grown foods and produce to our residents. But, without enough vendors, our market was falling short of our main goal. With a drive to increase the number of vendors while providing a time that works for our patrons, we decided to move our market to a Tuesday evening. This decision was made through the input of our community alongside our market advisory committee, members of the LU staff, and the market manager. 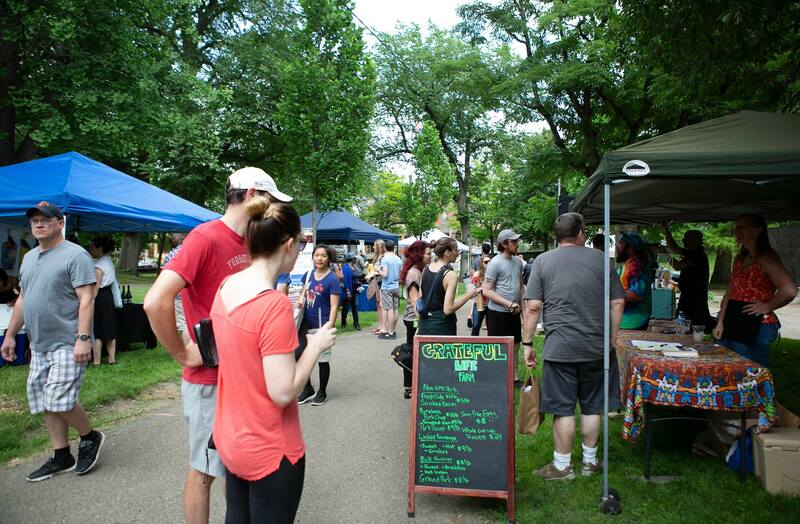 In 2019, the Lawrenceville Farmers’ Market will operate every Tuesday evening from 4-7PM in Arsenal Park beginning on June 4 and ending on October 29. Email Sarah at market@lunited.org to find out how, or sign up for our newsletter to learn more about available volunteer opportunities, including general market volunteer, educational chef, musician at market, special event volunteer, and more. 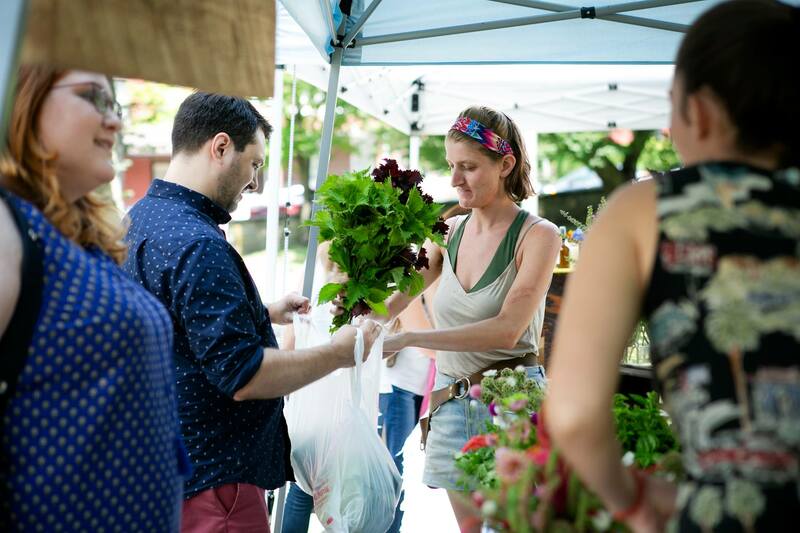 The mission of the Lawrenceville Farmers Market is to provide access to fresh, locally- produced foods for all Lawrenceville residents and visitors in an inclusive, vibrant, and safe community space. The Market aims to lower barriers to fresh, healthy food especially for low-income families, older adults, and individuals with food insecurity or low food access and to support the development of a strong and sustainable local food system with farmers and small business owners through incentive programs, community education, and outreach in the neighborhoods we serve. 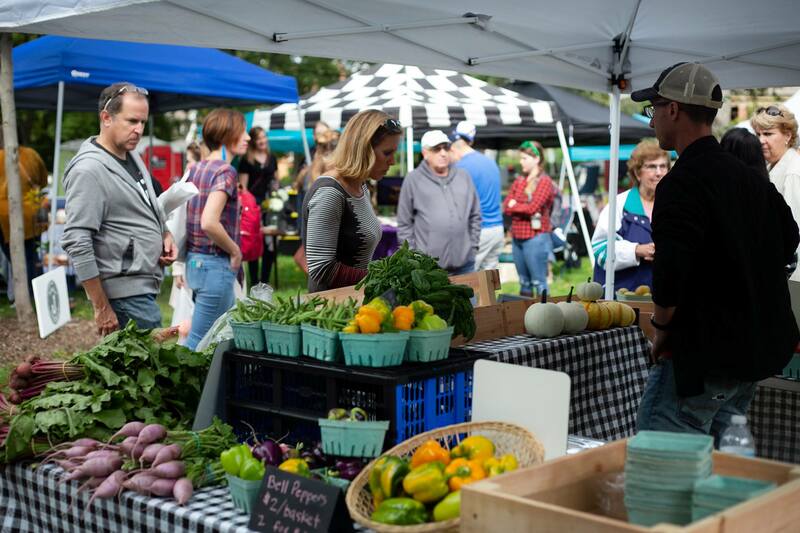 The Market will run every Tuesday from June through October from 4-7pm in Arsenal Park, near the 40th Street entrance. The Lawrenceville Farmers Market is a program of Lawrenceville United (LU). Lawrenceville United is an inclusive, resident-driven non-profit organization that works to improve and protect the quality of life for all Lawrenceville residents. The market is managed by a Lawrenceville United staff person who reports to LU and receives support from the Lawrenceville Farmers’ Market Advisory Committee (LFMAC). The Lawrenceville Farmers’ Market Advisory Committee is open to all residents and stakeholder who have an interest in the operation and management of the market. Email market@lunited.org to find out how you can become involved in the advisory committee. Are you or your business interested in becoming a Market sponsor? Email market@lunited.org for details. What forms of payment are accepted at market? Cash, Debit/Credit, and SNAP/EBT are all accepted. Visit the information booth when you arrive to swipe your Debit/Credit and SNAP/EBT card for tokens, which can be spent around market in place of cash. How are SNAP benefits used at market? When you swipe your EBT card at the information you receive tokens in exchange for the amount swiped. These tokens can be spent on any SNAP-eligible product found at market. For every $5 spent with your EBT card you receive another $2 to be spent on any fruits and veggies at market! Are Senior Farmers Market vouchers (SFMNP vouchers) accepted at market? Yes! We even host a few special days at market to honor our SFMNP customers. Follow along in our newsletter or on our social media pages to find out more. Can dogs come to market? Definitely! All friendly dogs are welcome at market as long as they are kept on a leash and remain with their human at all time. Make sure you stop by our dog treat vendor’s tent to get your furry friends a special gift, and follow along in our newsletter and on our social media pages to learn more about the special furry friend themed events we host throughout the season. What are some of the special events you host at market/how can I find out about them in advance? Follow the market on Facebook and Instagram or signup for our newsletter to keep up to date on all the fun events and programs happening at market this season!